Munich, Germany. Prague, Czech Republic. Bratislava, Slovakia. A travel aficionado with a severe case of wanderlust, these are only three of the seven cities junior Sid Ram stopped by this summer. When Ram is not boarding a plane to yet another exotic city, he enjoys updating his blog, Sid’s Adventures, diving into the pages of a young adult novel, and experimenting with new dishes. “I love making traditional dishes when I cook, but I add in a little twist,” Ram said. Ram also tries to spice up his academic life, filling 8th period slots with clubs like Forensic Science Society, where he serves as secretary. 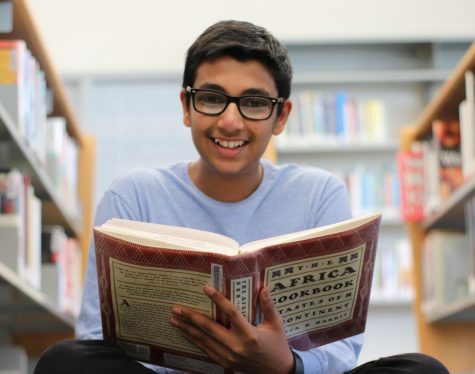 Ram began his journalistic experience in seventh grade, eventually becoming Editor-in-Chief for his middle school paper. “It was a lot of fun writing articles and going around the school taking photos,” Ram said. After entering Jefferson, Ram took a break from journalism before joining the tjTODAY staff this year. Looking ahead, Ram plans to study diplomacy and international relations and become a state department diplomat. As for this year, he hopes to explore the Jefferson community through journalism.